HJ: On a certain level, one of the primary things we are here to do in life is get fully in touch with our intuition. After all, this is our direct connection to our soul. To God. To all that is. And what better way to live? Our intuition is infallible. It always leads us to the what’s best and right for us in any given moment. It is truly a beautiful, beautiful thing and when you let go and surrender to the guidance of your intuition, it is in every sense the easiest, most pleasurable way to live. Alas, we all know from personal experience that guts neither have remote controls nor direct internal controls. You can often override your gut, acting against its urges, but you can’t simply change its urges. Your gut is not your slave or anyone else’s. It wants what it wants when it wants it. Reconciling ourselves to this we’ve tried two other extreme interpretations of what our guts are. One is that your gut is your infallible guide. Trust it and you can never go wrong, and every time you’ve gone wrong it’s because you failed to trust your gut. People who believe this malarkey have to selectively ignore all sorts of complications. What about the obviously impulsive people who do whatever their guts command and get it wrong? What about the fact that our guts are often ambivalent? You can make this nonsense notion of an almighty gut work, but only if, when looking back at mistakes you’ve made, you ignore your gut impulses to act the way you did, and concentrate only on your gut’s doubts about your failed action. The other extreme is that our guts, whether right or wrong are “hardwired” and unchanging. This too is malarkey. Surely you have some gut reactions that won’t change over your lifetime, but many will change, through age, experience, and learning. Some core gut reactions you can count on never changing. You’ll never lust for a diet of poop. Beyond the obvious, there’s no reason to assume you know which gut reactions can and can’t change. Your gut isn’t incorrigible. It can learn. Your gut doesn’t have a remote control, a direct control, infallibility or incorrigibility. You gut has lifelong cohabitation with your powers of reason. They’re roommates, siblings, or colleagues. Sometimes they fight; sometimes they come to each other’s aid. Sometimes your powers of reason plays slippery lawyer coming up with rationalizations that allow your gut to get what it wants; sometimes your powers of reason take control, making you do what the gut doesn’t feel like doing. And together they end up living with the consequences of their collaborative cohabitation. When reason supports gut on some shopping spree that leaves you without this months rent, they both learn. You can’t turn your gut on a dime, but if you’re patient and focused, you can cultivate better gut wisdom, wiser intuitions that make life easier and better. You’ll make better decisions and feel better about the decisions you make. How do you most effectively cultivate a wiser gut? Between gut and reason, how do I shop for interpretations of my circumstances and how should I shop for interpretations to get the outcomes I desire? 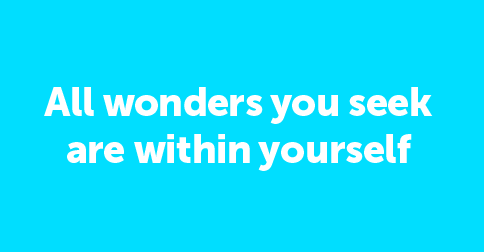 Lifelong curiosity about these questions is a wonderful way to gain wiser intuitions. There are lots of tools to aid your curiosity, for example things to read that deal with these questions directly or indirectly, meditation on them as you go about your business, conversations with others about them. Just keep these questions in the back of your mind and wiser intuitions will come. The roomies will get along better and better.